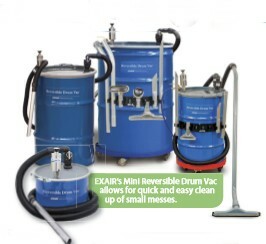 What is The Reversible Drum Vac? Wet or dry — it doesn’t care! No more broken shop vacs again! 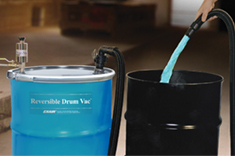 Drum Vac – Pump 55 gallons in 90 seconds! 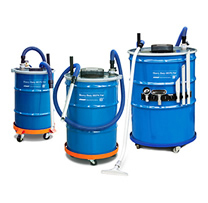 Compressed air operated Model 6195 Drum Vac System attaches quickly to any closed head 55 gallon (40 imperial gallon) drum. 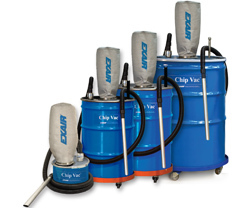 Its high powered vacuum fills the drum in less than two minutes. No moving parts or electricity assures maintenance free operation. An automatic shutoff valve prevents spills or overfilling.